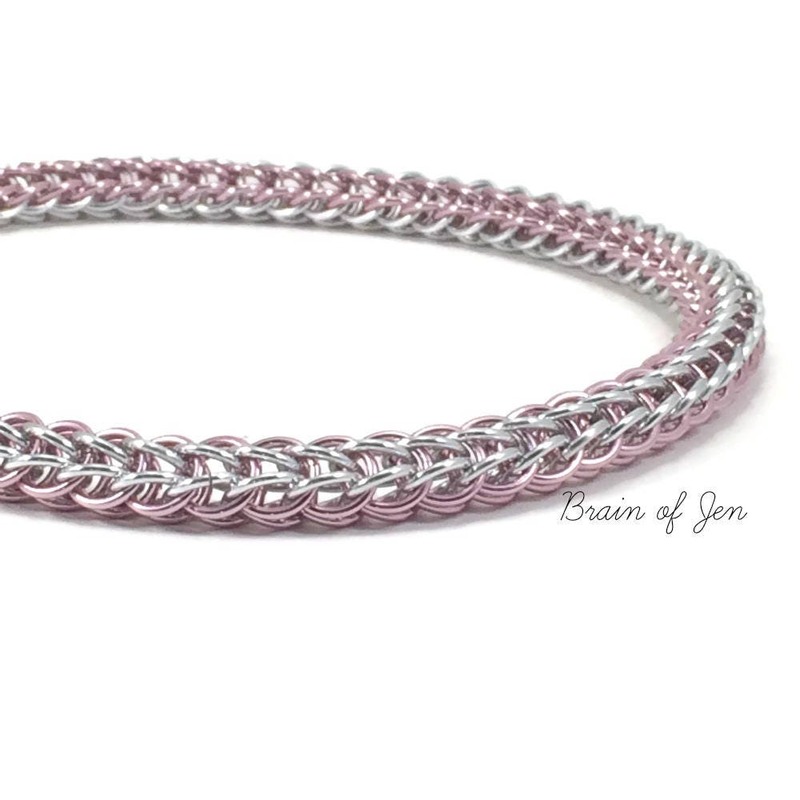 This bold, yet feminine chainmail submissive collar is made by hand using high quality bright silver and light, rosy pink anodized aluminum rings in a Full Persian, or Fox Tail weave, with a shining polished nickel silver heart shaped padlock closure at the front. 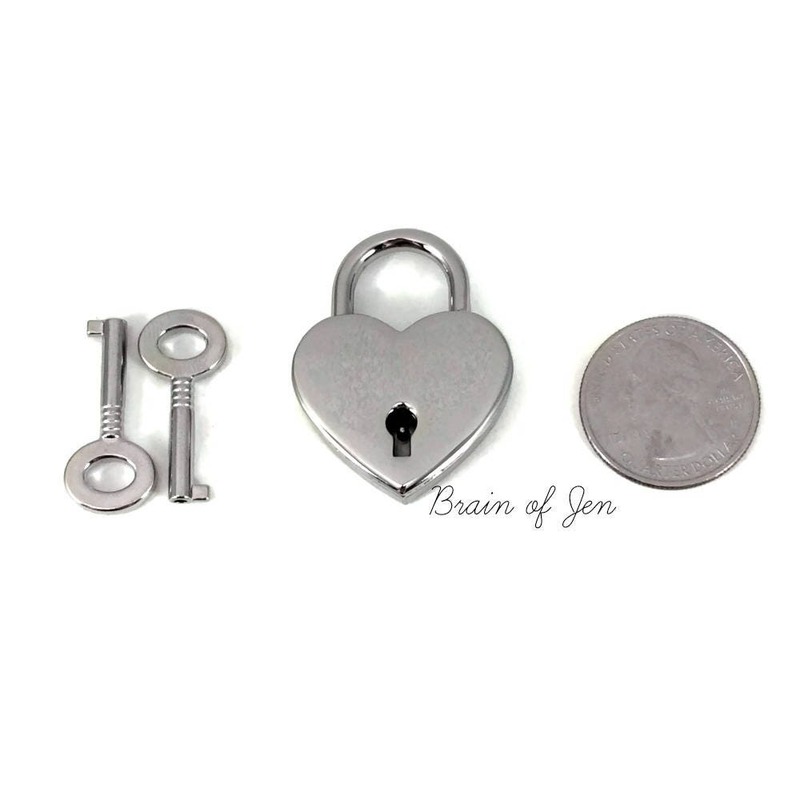 The lock measures 30 mm across and comes with two keys. It is absolutely beautifully made. I couldn't be more happy with it. Thank you!!! A gift for a special someone, they love it! Nice workmanship. 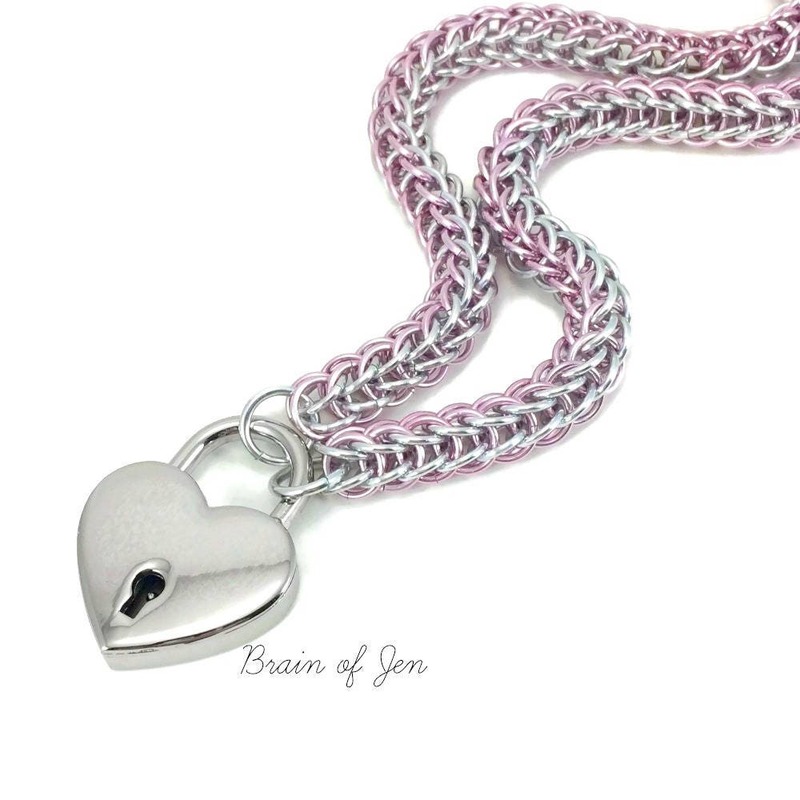 The chain is lightweight and may be worn all the time. Does not cause skin irritation. I will buy more perhaps in a different color. 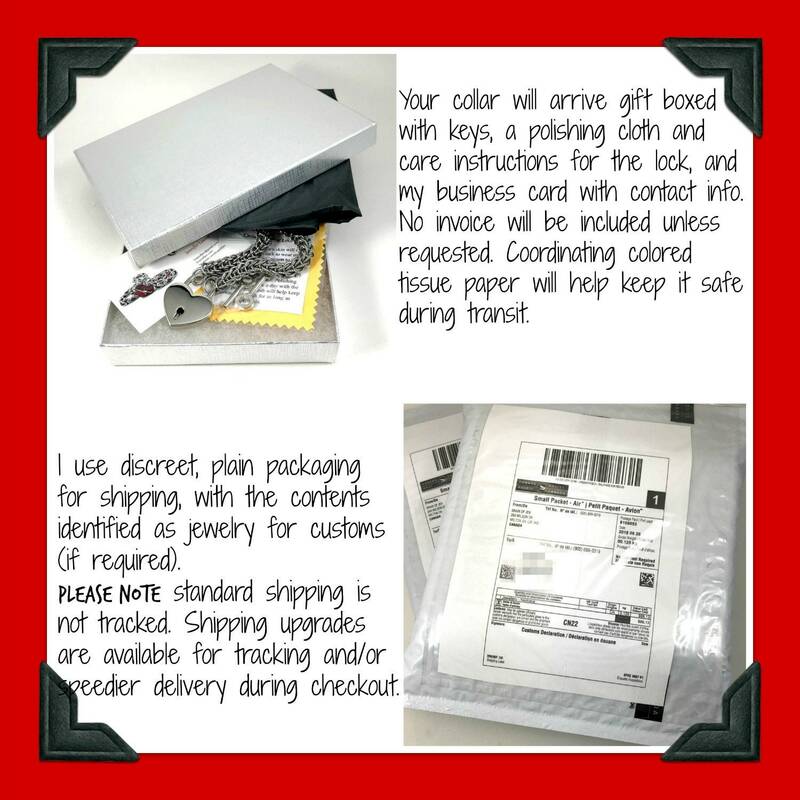 The seller BrainOfJen is very attentive and courteous. Delivery was prompt. I highly recommend the product and the seller. I love it, Daddy loves it.